Clearance(mm): 29 Horz. x 35 Vert. The ABUS 37RK Granit PLUS solid steel open shackle disc cylinder padlocks offer the highest protection against manipulation. The cylinder is inserted from the top offering optimum drill and pull resistance (8 Tonne pull resistance). The body and 14mm shackle are both made from hardened alloy steel with a cataphoretic coating and rustfree components which give 40 years of corrosion protection. 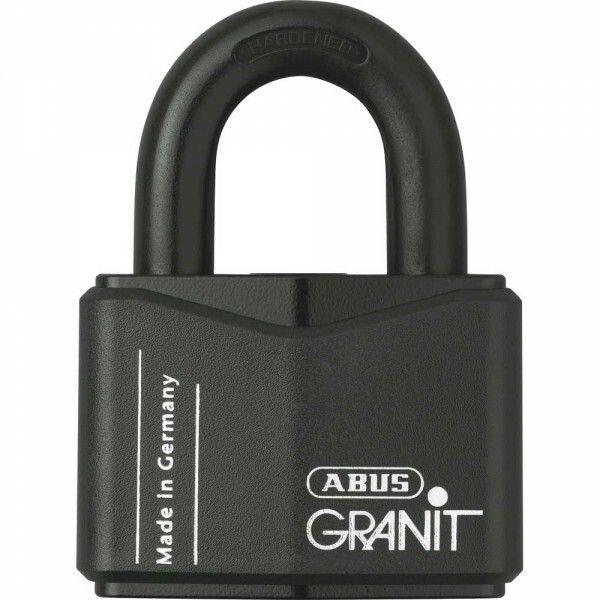 All Granit padlocks endure a -40° Freeze and Impact Test and are bolt cutter, drill and saw resistant. 250,000 key differs, each lock supplied with 1 illuminated and 1 standard plus key and card. The cylinder can be re-keyed to match an existing key.